Avery Elle: You Are Amazing! Hello and Happy Monday! I have the pleasure of presenting this fantastic card by Kasia Curry to you today. 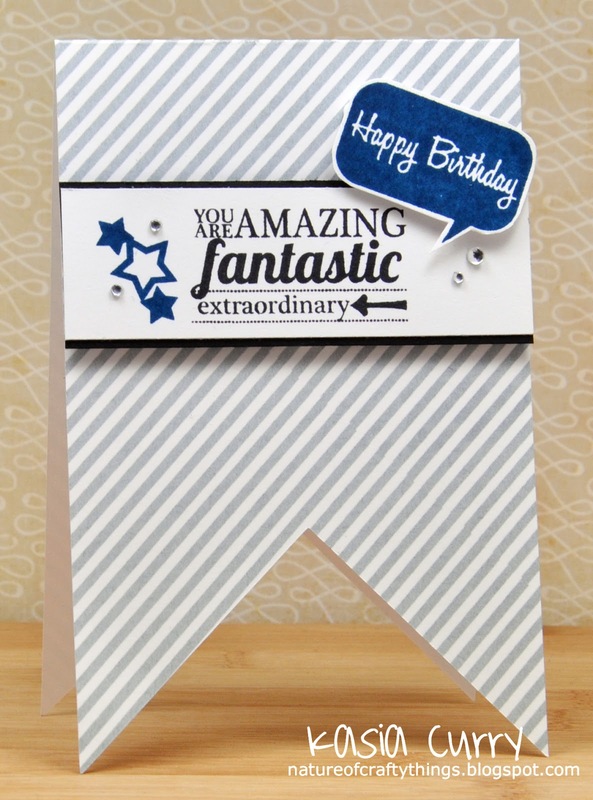 I love the way she combined the stars from our Framed Fonts and Hello stamp sets. The sentiments from our Framed Fonts and Picture It stamp sets look great together as well. I often have a difficult time creating masculine cards so I love seeing such a great example here. Kasia is a true talent and we are so lucky to have her on the Design Team. Be sure to check back in with us tomorrow. We are going to be previewing two of our four new stamp sets that will be released for sale this Thursday, Jan 31st at midnight EST. We have a lot of fun in store for you this week and I don't think you will want to miss it! Thanks for stopping by! Picture It and Ikat are Moxie Fab!! Happy Friday & One Day Left!